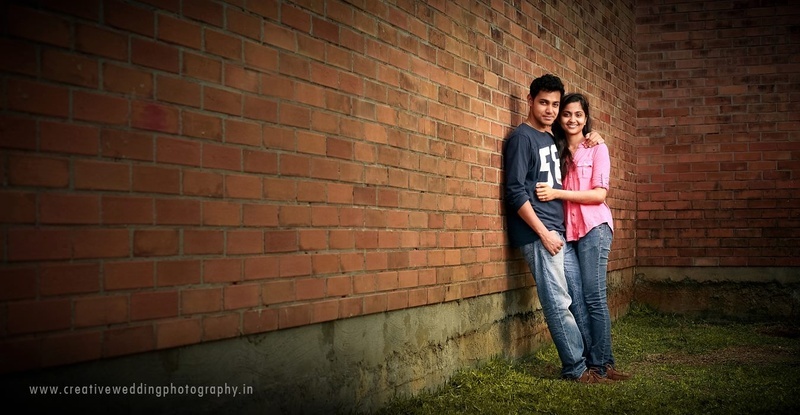 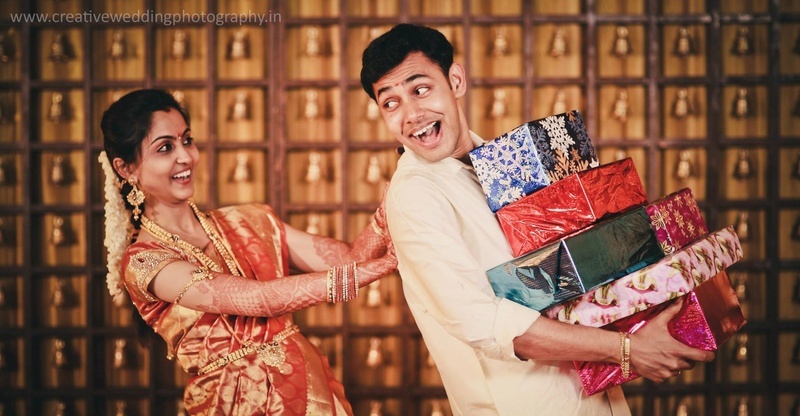 Pre-wedding photoshoots are all about capturing the best memories building up to your big day and we love how this couple decided to invest time into spelling their love out into these photographs so brilliantly shot by Creative Wedding Photography. 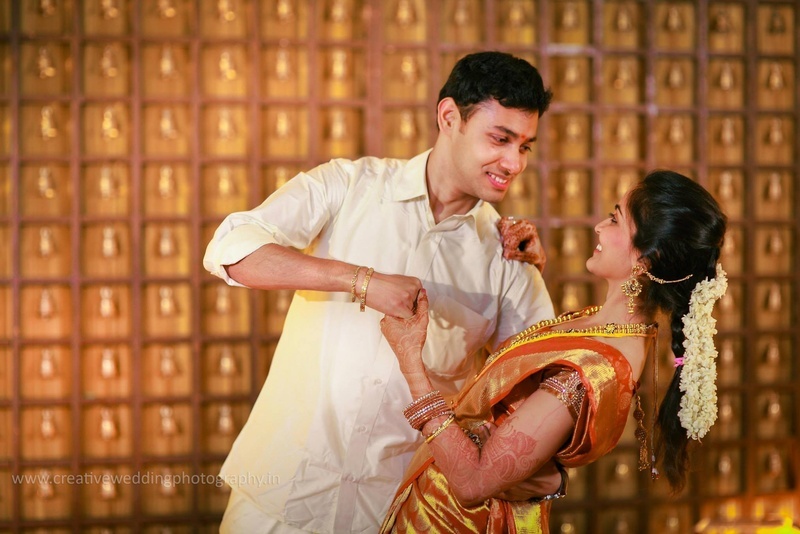 These photos captured showcased Kavita and Karthik in their most natural element – lauging, twirling and secretly stealing a kiss behind the flowers, complete 80’s Bollywood cinema style! 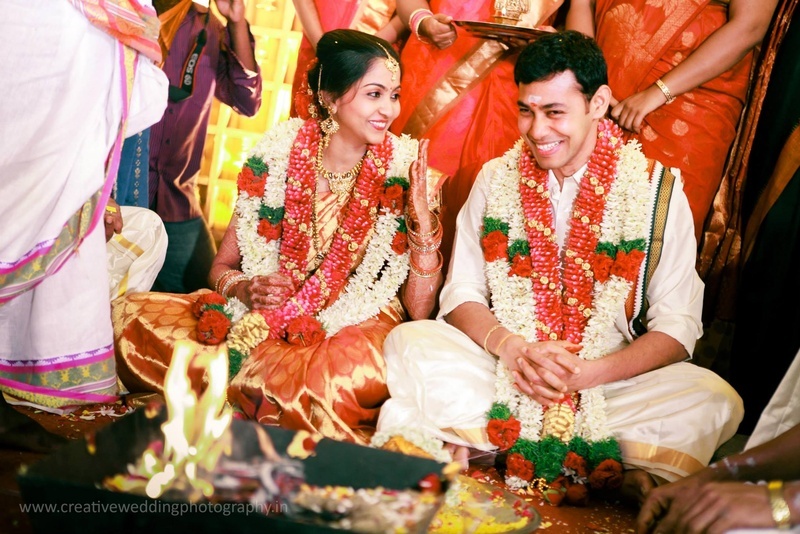 This effervescent couple lost in love took their Saat Pheras in an all-gold mandap illuminated with yellow-hued focus lights and flowers with green ferns for a fresh feel. 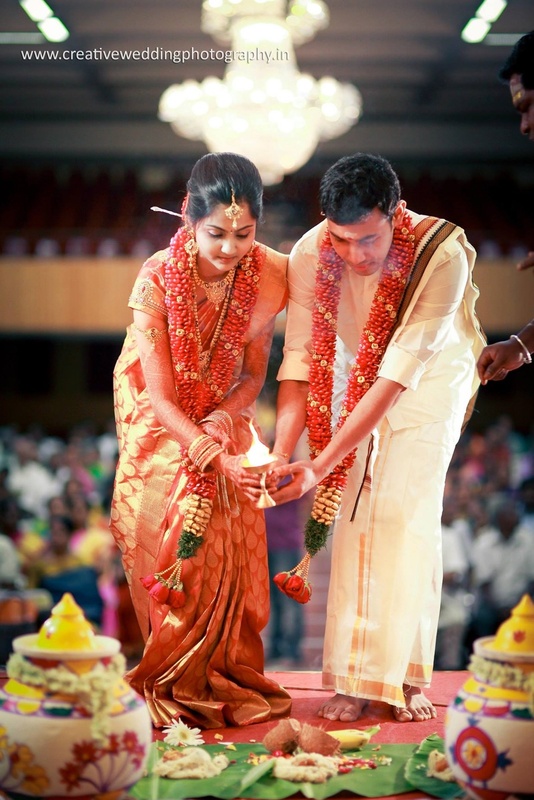 Being a south-indian wedding, we knew the bride’s pure kanjivaram silk saree would be a stunner – and our expectations were met and how! 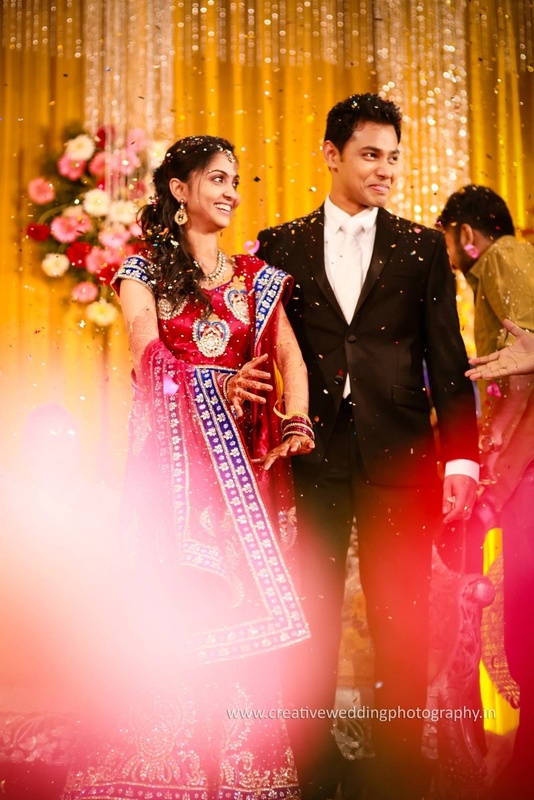 Kavita’s red and gold bridal saree was just plain gorgeous. 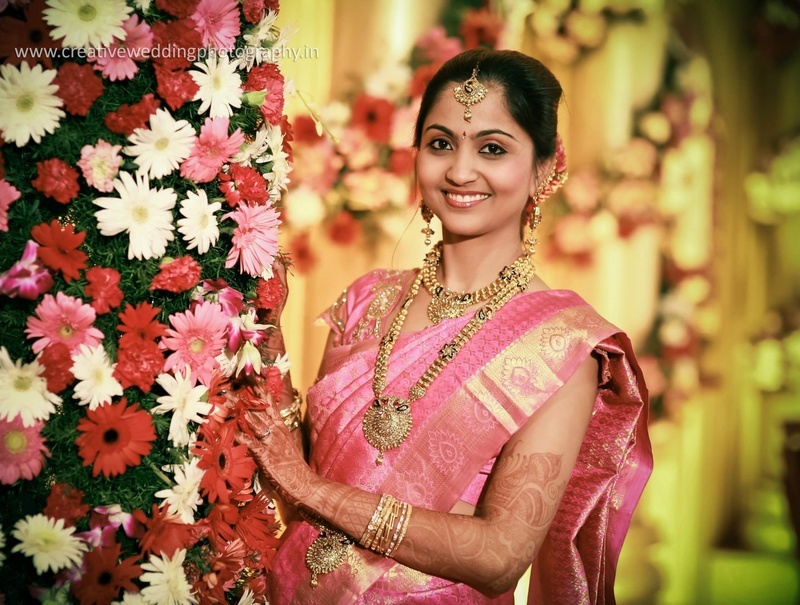 That saree paired with her minimal heirloom jewellery made her look like a quintessential south-indian bride. 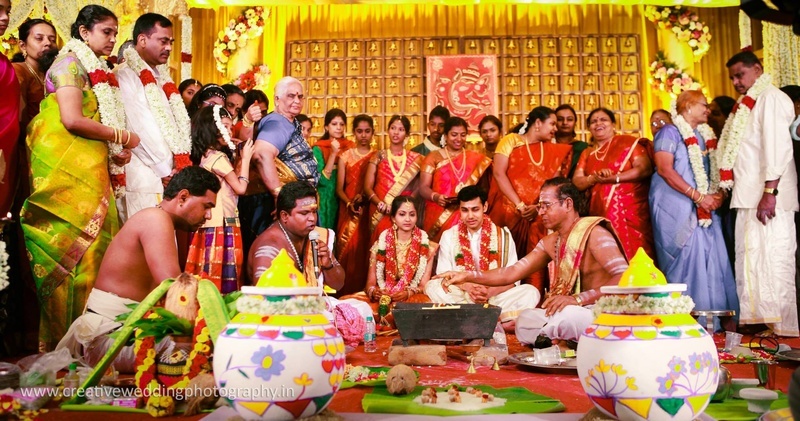 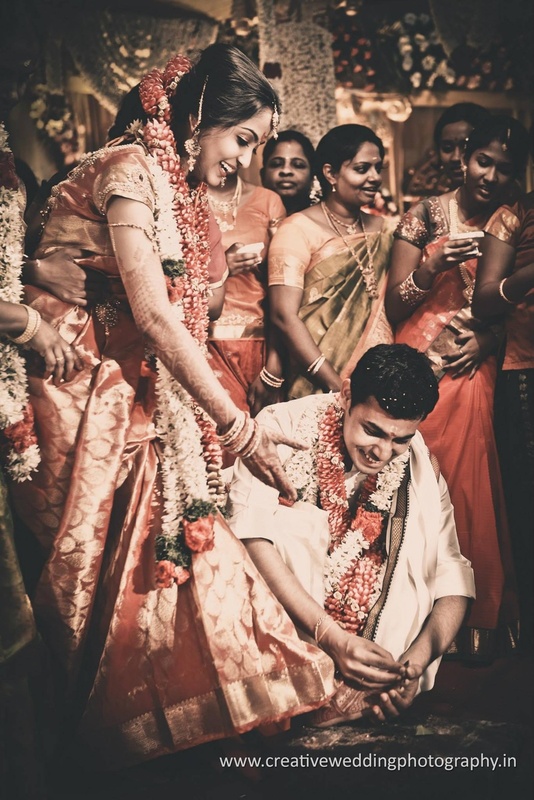 All in all, this wedding had every element that would make up a traditional one held down-south. 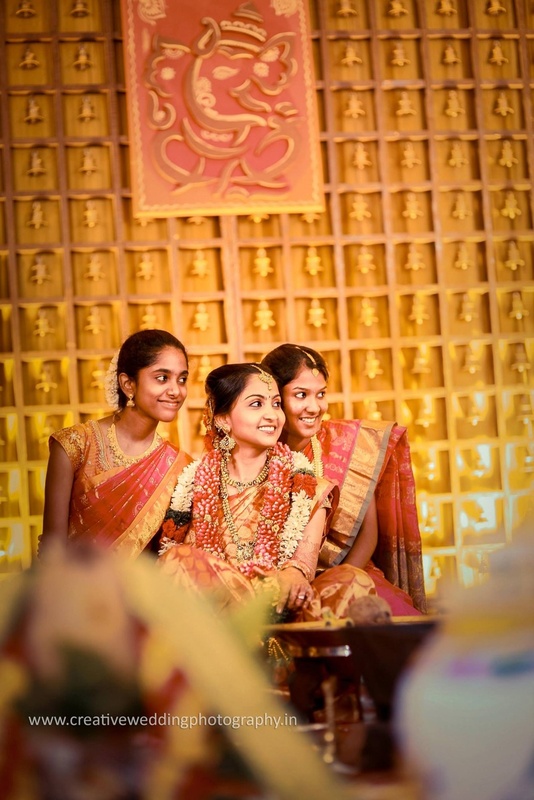 The décor, the outfits, the jewellery – each component was done true Iyer style and topped with bouts of elegance and class. 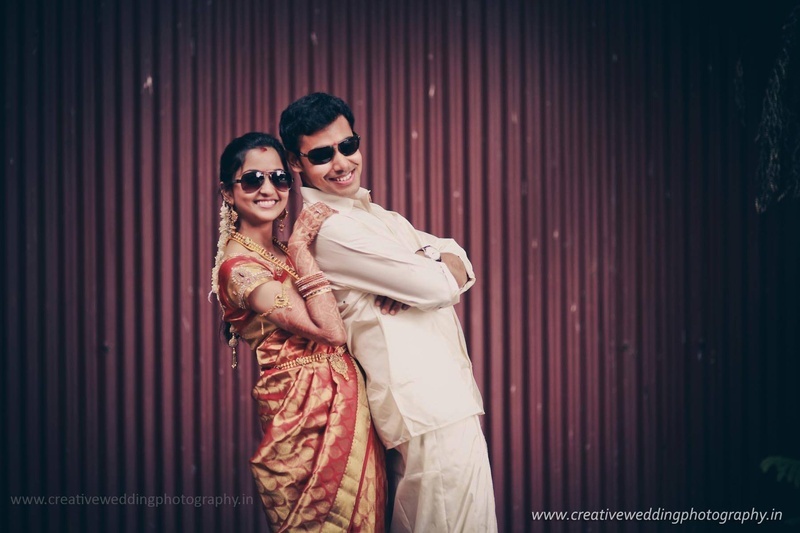 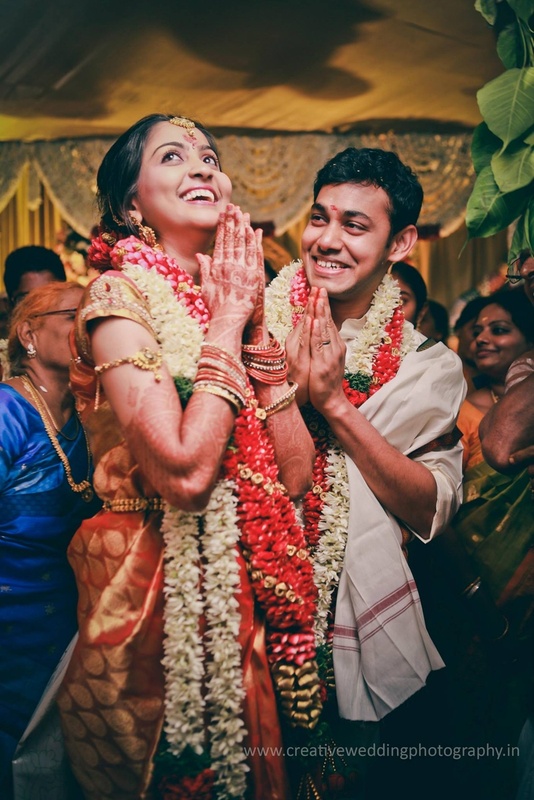 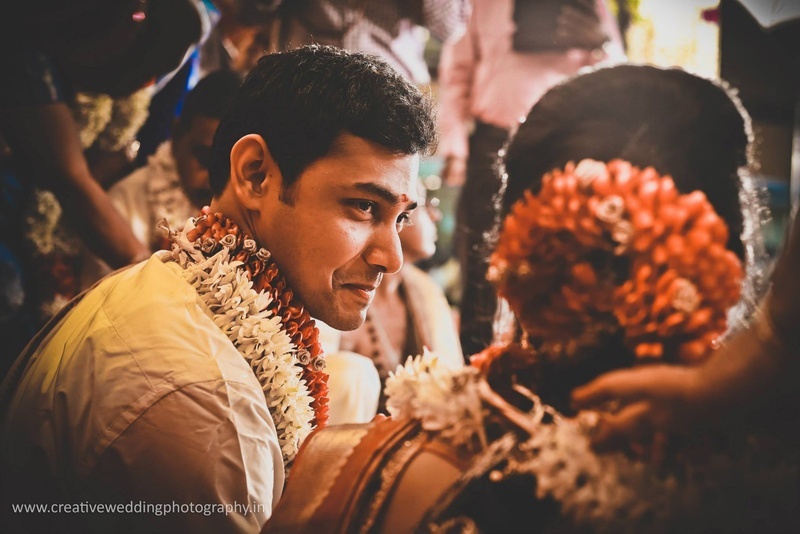 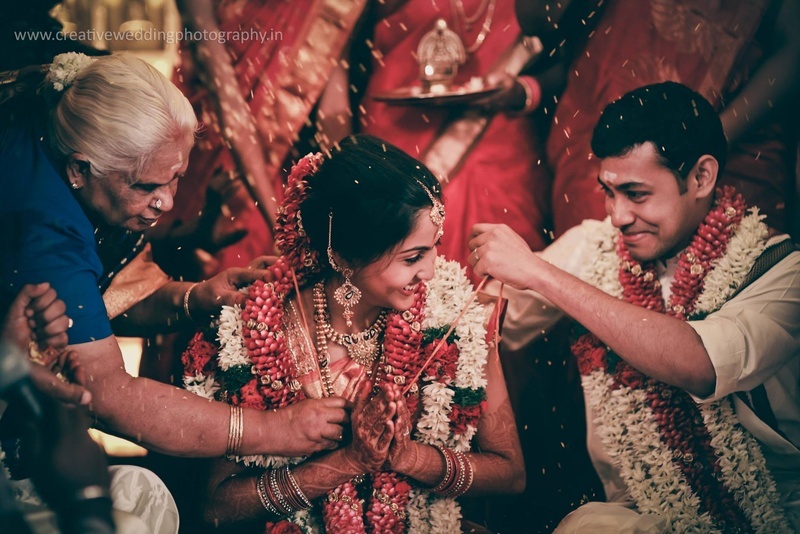 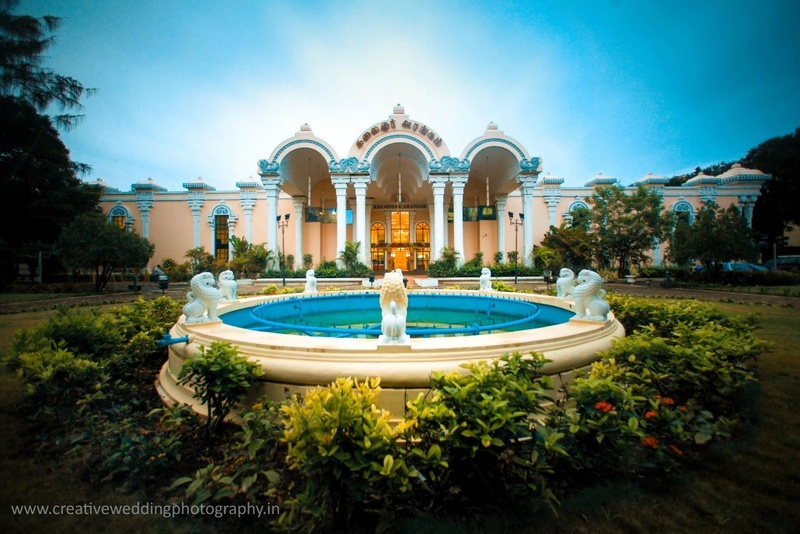 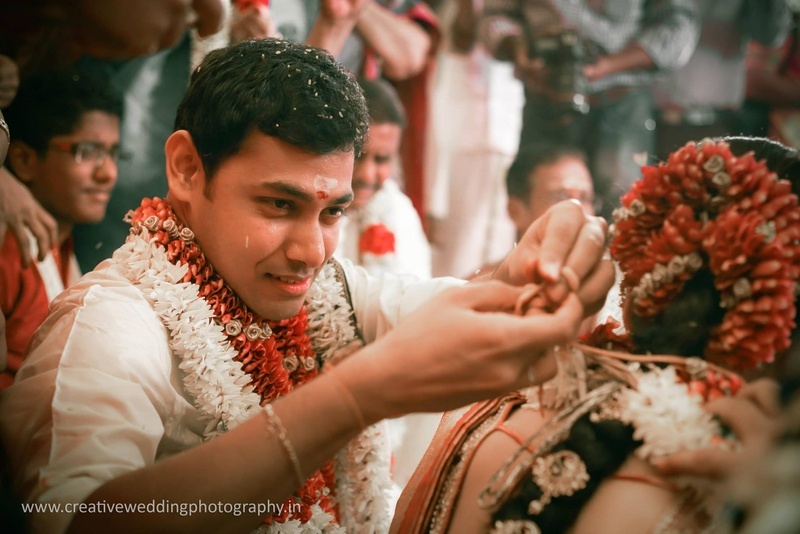 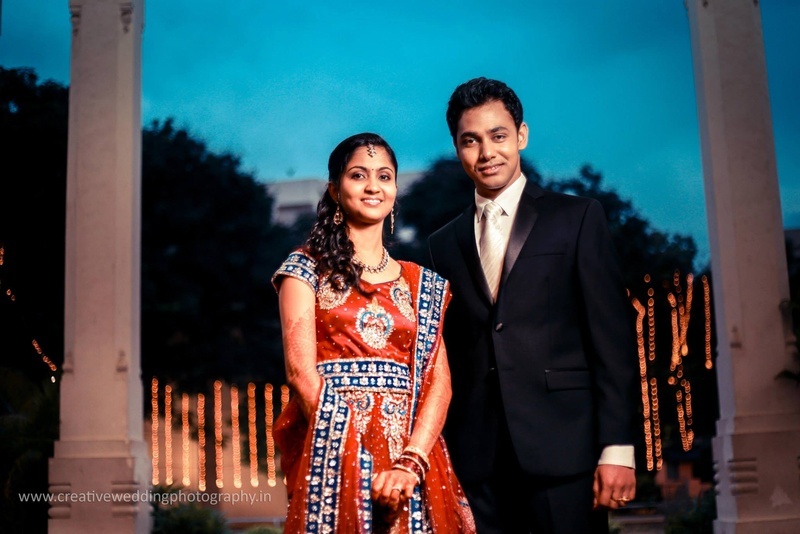 Look out for the starry-skied photograph and the cute gazes Kavita and Karthik exchanged as you scroll through this beautifully shot wedding album – those were definitely few of our favorites!